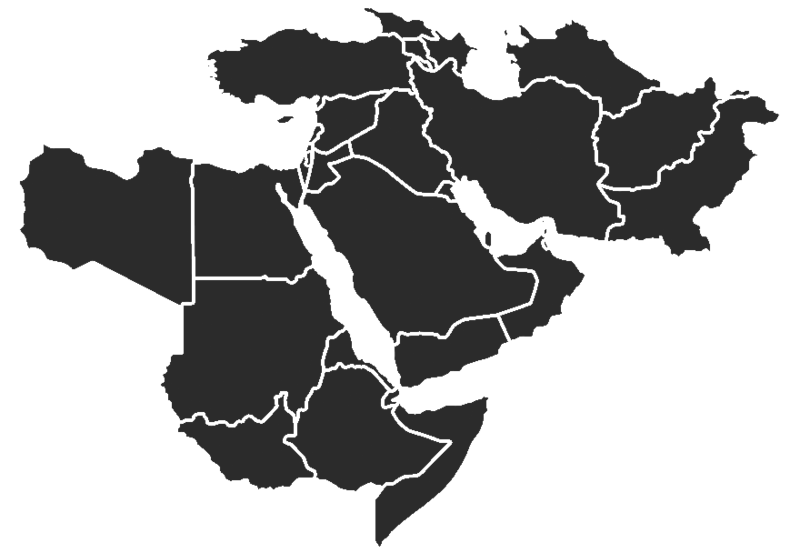 Al Qaeda’s affiliates seized on the opportunities presented during the Arab Spring across northern Africa and the Middle East to gain and consolidate safe havens. These groups continue to pose significant threats to the United States and its interests despite the killing of Osama bin Laden and senior al Qaeda leaders. Al Qaeda in the Arabian Peninsula (AQAP), al Qaeda’s Yemen-based affiliate, has dramatically increased its strength since 2009, while the Yemeni government, America’s counter-terrorism partner, is weaker. AQAP’s launch of a territorial offensive in 2011 through a new insurgent arm directly challenged the Yemeni state and has supported the terrorist network. The American strategy to counter AQAP has relied on its partner in Yemen to reduce AQAP’s safe havens and on direct action operations to manage AQAP’s immediate threat to the United States. There are indications that Yemen may not be able to counter AQAP’s insurgency, and will therefore not be able to reduce AQAP’s safe havens. The United States will need to incorporate this possibility into its counter-terrorism strategy in Yemen. Al Qaeda in the Arabian Peninsula (AQAP) poses a direct threat to the United States. The group is stronger now than it was before the start of the Arab Spring, despite better counter-terrorism cooperation from the Yemeni government. America’s strategy to counter AQAP has relied on direct action operations to manage the immediate threat and on Yemeni counter-terrorism efforts to reduce the group’s safe haven. AQAP launched an insurgency in Yemen that took advantage of opportunities presented by the Arab Spring. Targeted strikes have partially degraded AQAP’s leadership. Despite the deaths of key figures such as Anwar al Awlaki, the group maintains the capability and intent to attack the United States. Direct action operations alone will not neutralize the threat from AQAP, which is directly supported by its insurgent arm. A growing body of evidence indicates that Yemen will not be able to counter AQAP’s insurgency. The United States will need to re-orient its strategy to include approaches that will combat both AQAP and its insurgent arm. The unrest that swept across northern Africa and the Middle East during the Arab Spring created openings for al Qaeda’s affiliates to gain and consolidate safe havens. These groups pose significant threats to the United States and American interests despite the killing of Osama bin Laden and other senior leaders in Pakistan and elsewhere. Al Qaeda’s affiliate in Yemen, which has already attempted three attacks on the United States, is stronger now than it was before the start of the Arab Spring. The Yemeni government, America’s counter-terrorism partner, is weaker. The danger to America from this virulent terrorist group is growing. And our current strategy is unlikely to succeed. Al Qaeda in the Arabian Peninsula (AQAP) has dramatically increased in strength since its establishment in January 2009. It draws on an experienced cadre of leaders who exploited unsettled conditions in Yemen to establish safe havens, even before the outbreak of the Arab Spring. The group itself resulted from a merger between al Qaeda’s Yemeni and Saudi branches. Saudi Arabia’s counter-terrorism campaign in the mid-2000s denied al Qaeda operating space within the Kingdom, driving many of the Saudi operatives into Yemen. The arrival of these Saudi operatives and the escape of key Yemeni operatives from prison in February 2006 revitalized al Qaeda’s Yemen branch. The Yemeni government, at the time fighting a sectarian rebellion in the country’s north, did not act against the growing al Qaeda threat. Al Qaeda in Yemen consolidated its gains and formally incorporated the Saudi operatives into its leadership structure under the name of AQAP. The group expanded these gains over the course of the past four years, particularly since after spring 2011 when it fielded an insurgent arm called Ansar al Sharia. America’s counter-terrorism strategy in Yemen has relied on direct action operations to manage the immediate threat to the American homeland and to support Yemeni efforts to reduce the group’s safe haven, with the eventual goal of neutralizing AQAP. Even after the emergence of AQAP’s insurgent arm, it seems clear that the Obama Administration has decided that American direct action operations will be sufficient to address the threat from AQAP and that it will not become involved in Yemen’s counter-insurgency efforts in any significant degree. This strategy then rests on a set of assumptions: either the U.S. will be able to effectively differentiate between AQAP’s insurgent arm and its terrorist network and deal only with the latter; or a Yemeni political solution will resolve the insurgency while the U.S. addresses the threat from AQAP; or the Yemenis, with limited security assistance, will defeat the insurgency while American direct action operations target the terrorist network. AQAP’s leadership launched the insurgency, and Ansar al Sharia directly supports the terrorist network. The political resolution to the insurgency may not even be possible, given Ansar al Sharia’s non-participation in the political process, or even desirable should it require concessions to the group. Finally, it is not clear that Yemen’s security forces have sufficient capabilities to counter the group without significantly more assistance than they are now receiving. If those two assumptions prove invalid, we are left only with the assumption that we can neutralize AQAP as a transnational terrorist organization without neutralizing it as an insurgency—a dubious proposition at best. The Arab Spring’s arrival in Yemen in early 2011 caused a political crisis that, in turn, created a security and power vacuum that AQAP’s leadership exploited. The Yemeni state’s influence and control outside the capital had been limited even before this crisis, with then-President Ali Abdullah Saleh generally preferring to buy off, marginalize, or isolate opposition and to sub-contract such governance as was provided outside the capital to local power-brokers. Even this limited governance collapsed as the Saleh regime came under direct threat. The Yemeni security forces fractured along lines of loyalty to the different power-brokers on whom Saleh had relied. These power-brokers, naturally, focused primarily on the outcome of the political battle in Sana’a, the capital, that affected them most directly, largely ignoring events in outlying governorates. Yemeni military units that had been in AQAP strongholds were drawn northward toward the center of the political conflict. Their absence expanded the opening in the south, already wide because of Saleh’s refusal to govern his country properly, and AQAP leadership rushed through. Click to enlarge map of Yemen. AQAP had established a strong foothold in Yemen before the crisis hit. Its safe haven and operating area ran from the border with Saudi Arabia in northern al Jawf governorate to the coastline in southern Shabwah governorate. It had pockets of support in the eastern portion of Abyan governorate, which borders Shabwah. These established safe havens provided the staging ground for broader operations in support of AQAP’s objectives. AQAP’s offensive began with the creation of an insurgent wing in early 2011 that operated under the name Ansar al Sharia. The group quietly seized control of Jaar in western Abyan in March 2011. From there, it attacked Zinjibar, the governorate’s capital, at the end of May 2011. Yemeni troops in Zinjibar were unable to hold, and withdrew from their positions. The capture of Zinjibar gave Ansar al Sharia control of the main road connecting Abyan to Shabwah and to Aden, Yemen’s southern port city (and the former capital of the defunct People’s Democratic Republic of Yemen). Ansar al Sharia militants openly administered shari’a justice in Abyan and Shabwah. Ansar al Sharia judges announced their sentencing decisions in Abyan under the authority of the “Emirate of Waqar,” the group’s name for the town, Jaar, north of Zinjibar. By summer 2011, Ansar al Sharia was on the way to establishing a quasi-state in southern Yemen and was gathering strength to go further. But as Ansar al Sharia intensified attacks in and around Aden, Yemen’s political elites became concerned enough to send troops back to the area to check the militants’ spread. Yemeni forces established a front line against Ansar al Sharia just inside Abyan by fall 2011 and halted its spread southward. In mid-January 2012, militants pushed northward from Abyan into neighboring al Bayda governorate instead, but tribal negotiations, backed by additional military reinforcements, persuaded the insurgents to withdraw. The launch of a territorial offensive aimed primarily against the Yemeni state was a significant change for AQAP. It appears to have resulted from a conscious decision of AQAP leaders to launch an insurgency in Yemen in response to the opportunity presented by the Arab Spring. AQAP’s leadership blends Saudis (al Qaeda operatives who fled Saudi Arabia’s crackdown in the mid-2000s) and Yemenis including AQAP’s leader Nasser al Wahayshi, its military commander Qasim al Raymi, and its shari’a official Sheikh Abu Zubair Adil al Abab. These Yemeni AQAP leaders were the most active in calling for and directing the insurgency despite apparent resistance from al Qaeda senior leadership (AQSL) based in Pakistan. Wahayshi explicitly stated his desire to overthrow the Yemeni regime in an undated letter written to al Qaeda senior leadership (thus undermining the widespread view that AQSL had ceased to play any active role in managing the global franchises). He wrote, “If you want Sana’a, today is the day.” Wahayshi’s suggestion was rebuffed—AQSL apparently saw Saleh’s survival as desirable for some reason, raising questions about the value of the much-vaunted counter-terrorism partnership with him on which U.S. policy in Yemen had relied for so long. AQSL also directed Wahayshi to avoid killing Yemeni tribesmen and to deploy an AQAP leader to the south. This last order seems to confirm reports that AQAP’s military commander, Qasim al Raymi, was a battlefield commander in Abyan during the initial stages of the insurgency. AQAP also claimed victories in Abyan: Abab notably held an audio interview claiming control of Jaar in Abyan during which he said that al Qaeda in Yemen introduces itself under the name “Ansar al Sharia” in mid-April 2011. Abab has since issued statements in support of the insurgency. Whatever concerns AQSL expressed, AQAP had decided to move ahead with the attempt to seize and hold territory in Yemen and had fielded an insurgent force to do so. Click to enlarge. See here for AQAP attacks 2007-2011. That decision was facilitated by a change in tactics and targets that AQAP had already begun to make in mid-2010. Whereas AQAP had previously focused on attacking foreign tourists or Western targets, it began a campaign against Yemeni military and government targets in June 2010. During summer 2010, AQAP attacked Yemeni military and security targets in Aden, Abyan, and Lahij governorates. This trend continued into 2011 and 2012, and the geographic distribution and rate of these attacks increased. The rise in the number of suicide attacks in Sana’a over summer 2012 exemplifies the extent to which AQAP has shifted its internal operations toward insurgency. AQAP’s operations in Sana’a exclusively targeted non-Yemenis prior to 2011. Two suicide attacks killed over 100 Yemenis in Sana’a in May and July 2012. Additionally, AQAP also appears to be pursuing a campaign of targeted assassinations. It has targeted Yemeni government and military officials who have aggressively pursued or supported counter-terrorism operations against AQAP. AQAP operatives killed a top Yemeni commander, Major General Salem Ali Qatan, in June 2012 and have attempted to assassinate Yemeni Defense Minister Mohammed Nasser Ahmed several times. AQAP's 2012 assassination campaign. Click to enlarge. The evolution of AQAP into an insurgent group aiming at controlling and governing territory in Yemen could seem to indicate that the threat the group poses to the U.S. directly is declining. The devotion of resources to AQAP’s internal operations, it could be argued, subtracts resources from its efforts to attack Americans outside of Yemen. One might even suggest that American interests could be served by encouraging AQAP, in a sense, to focus on its insurgent activities. Events do not support such a conclusion, however. AQAP has demonstrated that it retains both the will and the capability to attempt attacks on the U.S. homeland even as it seeks to expand territorial control within Yemen. AQAP operatives mailed bombs disguised as printer cartridges to a Chicago synagogue in October 2010 while the campaign against Yemeni military and security targets was picking up speed. The bombs were discovered after they were already en route to the U.S. AQAP attempted another attack in May 2012, improving on the bomb design used in the December 25, 2009 attack by Umar Farouk Abdulmutallab (which AQAP had also planned, resourced, and directed). The attempt shows that AQAP still seeks to conduct international attacks, even though the details of the attack were purported to be known to American and other intelligence agencies before it became fully operational. Should AQAP succeed in holding a significant territorial safe haven in Yemen, of course, its ability to plan and conduct attacks abroad could increase considerably. The U.S. government has yet to articulate a comprehensive and coherent strategy to defeat AQAP in Yemen. It is instead pursuing two different approaches that appear to be disconnected at times. The first is a component of America’s broader counter-terrorism strategy that includes the use of direct and covert actions to target AQAP’s leadership and assets. The second involves diplomatic and political engagement to stabilize a unified Yemen with the eventual goal of working by, with, and through the Yemeni security forces to fight AQAP. To achieve this goal, the U.S. has backed a political transition process in Yemen that ended a year of unrest in the country. It has also funded programs there to enhance governance and to improve state services, and has contributed assistance to help stave off a looming humanitarian crisis in the country. These efforts are aimed at stabilizing and strengthening the government. There has also been a focus on developing local military capabilities with the idea that Yemen will pursue AQAP. Past American assistance to Yemen has helped to develop Yemen’s counter-terrorism capabilities and recent official statements have lauded Yemen’s military success against AQAP in the south of the country. Underlying this approach is the assumption that Yemen will remain on its current trajectory and that conditions will continue to favor American economic and security assistance. The facility with which Ansar al Sharia extended AQAP’s reach in Yemen underscores America’s reliance on local Yemeni forces to combat the group. The 2011 unrest in Sana’a and other regime strongholds preoccupied Yemen’s military and security forces. It was in this context that Ansar al Sharia was able to establish itself in south Yemen so quickly. The insurgents were able to match the military strength of three Yemeni brigades—the 119th Infantry, the 201st Mechanized Infantry, and the 25th Mechanized Infantry—and even forced the 119th and the 201st brigades to withdraw southward toward Aden. Additionally, the insurgents laid siege to the base of the 25th Mechanized Brigade, just southeast of Zinjibar, for over a month. It was only when Ansar al Sharia directly threatened Aden, Yemen’s second largest city, that additional Yemeni troops from the 31st Armored Brigade were deployed to fight the insurgents in August 2011. Yet the military operation was defensive, designed to prevent further progress toward Aden, rather than an offensive one seeking to defeat the group. Yemeni troops established a front line that checked the spread southward of the insurgency, but did not truly contest the insurgents’ control of territory. Yemeni airstrikes did target insurgent positions, but were largely ineffective at weakening Ansar al Sharia. This performance by a nascent insurgent group against a standing, albeit weak, conventional military was impressive. Click for information on Yemeni army deployments. The Yemeni offensive to regain control of Abyan did not begin until May 2012, over a full year after the governorate’s fall to Ansar al Sharia. There were additional Yemeni troop deployments to Abyan in the interim and the limited gains made during the August 2011 offensive were tenuous at best. The 39th Armored and the 115th Infantry brigades deployed to Abyan in 2011, but were unable to secure further gains. The fight against Ansar al Sharia gained momentum in April 2012 with the emergence of local tribal militias, called popular committees, that partnered with Yemeni troops. The popular committee in northeast Abyan around Lawder, a district that has historically had an al Qaeda presence, was the first to see success against Ansar al Sharia. After this initial victory, other popular committees sprung up across Abyan. The 135th Infantry Brigade deployed to Zinjibar at the end of April. The Yemeni military began an offensive operation against Ansar al Sharia on May 12, 2012. The offensive swept up through Abyan and into neighboring Shabwah governorate, culminating on June 17, 2012 when Ansar al Sharia withdrew from its stronghold in ‘Azzan there. The Yemeni military declared victory over AQAP’s insurgent arm. Ansar al Sharia's targeting of tribal leaders in Abyan. Click to enlarge. The victory may well be ephemeral. Ansar al Sharia continues to operate in Abyan and Shabwah governorates even though it no longer administers territory there. By the end of July 2012, Ansar al Sharia militants had resumed attacking pro-government positions in areas that the military claimed to have cleared. Additionally, Ansar al Sharia militants appear to have launched a more localized assassination campaign in Abyan targeting individuals who held command positions in the fight against the group. These assassination attempts are not limited to Yemeni security officials, but also include local tribal militia leaders. This is a significant development. Until the tribal militias supported the Yemeni military offensive against Ansar al Sharia, they had not been regularly targeted by the group. Now, it appears that Ansar al Sharia has justified killing tribesmen who fought against it and it is not clear what the impact of this will be on tribal resistance in south Yemen. In similar circumstances in Iraq, Afghanistan, Syria, and elsewhere, insurgent attacks on local tribes can further alienate those tribes and fuel resistance to the insurgency. That phenomenon, however, generally occurs only when the tribes feel confident that they can defeat the insurgents either on their own or with external assistance. It is too soon to tell how the Yemeni tribes will react. American defense and intelligence agencies were able to continue a direct action approach in Yemen over the course of 2011 and 2012. Targeted strikes have partially degraded AQAP’s leadership, though the founding leadership is intact. Top leaders killed include radical Yemeni-American cleric Anwar al Awlaki, commander Mohammed Said al Umdah, and two operatives connected to the October 2000 attack on the USS Cole, Fahd al Quso and Abdul Munim al Fathani. The September 2011 airstrike that killed Awlaki also killed Samir Khan, who helped publish AQAP’s English-language magazine, Inspire. Their deaths have affected Inspire’s publication. The quality of the next issue, released in May 2012, was lower and the publication rate has not been as regular. The loss of Awlaki did not end AQAP’s efforts to conduct English-language outreach, however. The coordinated American direct action operations and Yemeni counter-insurgency operations have not eliminated the threat from AQAP. The group still has uncontested safe havens in Yemen from where it has historically operated. These include the swathe of land that stretches from Yemen’s northern Saudi border in al Jawf governorate down to the southern coastline in Shabwah governorate and farther eastward in the Yemeni desert regions. It also still has operatives in the areas that Ansar al Sharia controlled in 2011, in spite of the spring 2012 Yemeni military offensive. AQAP will continue to be able to train militants and conduct planning operations for terrorist attacks in this operating environment. Additionally, AQAP has exhibited a depth of leadership and resilience to leaders’ deaths, which will continue as long as the group has sanctuary in Yemen. The U.S. shows little ability or inclination to inflict the level of punishment on AQAP leadership that it has on al Qaeda senior leadership, for example, and even that level of effort has not destroyed al Qaeda. America’s Yemen counter-terrorism strategy assumes that the local government and security forces will ultimately be able to eradicate AQAP’s safe havens, given sufficient resources. Removing AQAP’s sanctuary in Yemen is not an easy task. Al Qaeda has been operating in the country for two decades in different iterations and has established a strong operational network. Additionally, the environment in Yemen has proven to be conducive to AQAP operations. The Sana’a-based government has never been able to directly administer all of its territory, for example. Moreover, there is a strong sense of economic and political marginalization throughout the country, but particularly in the south where AQAP operates. These grievances may lend AQAP local support where it would otherwise have had little traction. Finally, AQAP is not the only threat to the state. Since the mid-2000s, the Yemeni government has had to deploy military forces to suppress a rebellion in the north and has also faced a growing secessionist movement in the south. In these cases, the government prioritized other fights over the one against AQAP. Sana’a’s continued focus on AQAP, let alone its ability to defeat the group, is far from assured. Yemen’s New Government: an Effective Partner? One of the primary limitations of America’s Yemen policy at the onset of the popular unrest in Yemen in early 2011 was that much of the relationship ran through Yemen’s former president, Ali Abdullah Saleh. Saleh’s power rested on a base strengthened over decades through a patronage network and Saleh’s ability to balance, or sometimes leverage, competing political factions’ interests. He had fashioned himself as the sole individual able to maintain stability in the country and gained the support of the U.S. and Saudi Arabia in that belief. The lack of an obvious successor or strong state institutions created a reticence within the international community to end support for him. Saleh had carefully managed Yemen’s counter-terrorism relationship with the U.S. and was America’s partner in Yemen, though not always a consistent one. The U.S. was therefore slow to recognize publicly that Saleh’s continued hold on power was actually further destabilizing Yemen and creating an opening for AQAP to exploit. Once the U.S. administration did make that admission, it set about finding someone else to be a unifying figure and a willing counter-terrorism partner. It became increasingly clear in spring 2011 that the successor to Saleh would be his vice president, Abdu Rabbu Mansour Hadi. Hadi had served as Saleh’s deputy since October 1994, but was generally perceived to have held little influence in Sana’a politics. Saleh had brought him in primarily as a token “southerner”—Hadi is from Abyan—after the end of the Yemeni civil war. Hadi’s supposed political impotence made him the ideal consensus candidate for Yemeni power-brokers seeking to protect their own influence. Hadi is a member of the ruling party, of which Saleh remains the chairman, which allowed that party to maintain its formally dominant position within the government. Powerful opposition figures likely saw Hadi as a figure without a political base who might make concessions to them (as, indeed, he appears to have done). Additionally, Saudi Arabia and the other Gulf States, as well as the U.S., supported his candidacy. The Gulf Cooperation Council (GCC) negotiated the transition of power from Saleh to Hadi, granting members of the Saleh regime immunity from future prosecution, to which all sides agreed in principle in early spring 2011. The involvement of United Nations (UN) special envoy to Yemen, Jamal Benomar, in continued negotiations, as well as the threat of sanctions on the Saleh regime, helped to finalize the acceptance of the deal, which was signed in November of that year. The GCC deal created the framework within which the international community and Yemeni politicians could work toward re-establishing stability in the country. This framework addressed the political turmoil and the general unrest by laying out steps to form a new government and by calling for reforms to end divisions within Yemen’s armed forces. The deal stipulated that Hadi (then vice president) establish a Committee on Military Affairs within five days, that a national unity government be formed within 14 days, that presidential elections be held within 90 days, that a representative National Dialogue be held, and that, after the National Dialogue, a Constitutional Commission be established to draft a new Constitution. The implementation of the GCC deal has proceeded incrementally and many of the political benchmarks have been met. A presidential election—really a referendum, since Hadi was the only candidate—was held in February 2012, and there is a new unity government. Additionally, the required committees were established and have begun to carry out their respective mandates. There is a certain naiveté incorporated into the implementing mechanisms for the GCC deal, however. The requirement to hold the National Dialogue, which is supposed to be a forum in which opposition groups can articulate and demand redress for long-standing political grievances, is one such problem with the framework. The success of the National Dialogue requires broad participation from these groups, but they have refused to participate in past iterations and it remains unclear whether they will join this one. Opposition groups could severely undermine the legitimacy of the process by opting out again. It is also unclear why the National Dialogue process, which saw prior attempts fail before 2011, would be successful now. Despite Saleh’s departure, Yemen’s political elite remain in power and they, along with Saleh, are complicit in the marginalization of many of these groups. The GCC deal also calls for the restructuring of Yemen’s security sector and the end to armed conflict in the country. The Committee on Military Affairs has, by and large, been able to end the armed conflict in Sana’a for now, but many of the local militia forces have not been fully disbanded. The restructuring of the security sector touches on many underlying structural issues in Yemen, including patronage networks and corruption, that will likely hinder progress. Hadi has the support of the international community in implementing the terms of the deal—both the U.S. and the UN have threatened to impose sanctions on those who resist it—but his ability to effect real and lasting change in a timely fashion will likely remain limited. Political tensions remain in Sana’a, despite notional progress in the implementation of the GCC’s transition plan. Fighting in Sana’a in 2011 revealed three major power-brokers able to field effective military forces: former President Ali Abdullah Saleh, General Ali Mohsen al Ahmar (who defected during the 2011 uprising), and opposition leader Hamid al Ahmar. These groups have not been significantly weakened despite the suspension of open hostilities. Key individuals have also opted out of political participation for the time being, and may re-establish themselves within the new system at a future date. Additionally, the political turmoil has created space for new actors, who may upset the balance of power in the capital. The GCC’s transition plan also calls for elections in 2014 after the drafting of Yemen’s new constitution. These elections, whether presidential or parliamentary, will likely re-surface the underlying political competition in Sana’a. Hadi has worked to weaken some of the rival major power bases. He has appointed new government and military officials in an attempt to weaken their formal influence, but it will be much more difficult for him to dismantle the informal patronage networks established by Saleh, Ali Mohsen, and Hamid al Ahmar. The political progress in Sana’a could quickly be thrown off-course and the new government could collapse. The U.S. would once again be at risk of losing its counter-terrorism partner should this occur. Hadi’s military command changes, mandated in part by the GCC deal, may also handicap Yemen’s security forces in the short term. Saleh controlled a strong patronage network within the country’s security forces—his son still commands Yemen’s elite Republican Guard troops and his nephew still heads the Central Security Forces. Likewise, General Ali Mohsen al Ahmar, whose headquarters are in the north of the capital, commands Yemen’s First Armored Division, the strongest army unit outside of the Republican Guard. There are indications that Hadi’s appointment of new commanders loyal to him have served to further fracture, rather than unify, the military and the security forces as troops’ loyalties remain tied to their former commanders. Continued breakdown in the command structure of Yemen’s security forces will affect their ability to effectively pursue AQAP. Hadi’s new government has been willing to fight against AQAP, but there is no guarantee that it will be both willing and able to conduct counter-terrorism or even counter-insurgency operations in the future. The level of cooperation now may be more an indication of the current conditions facing Hadi. The threat from AQAP to the Yemeni state has changed: Before 2011, AQAP did not pose an existential threat to the state. Hadi is also in a position where he needs international support, and international actors, primarily Saudi Arabia and the U.S., have made clear that continued support is based on Hadi taking action to address the terrorist threat emanating out of Yemen. It is not clear that Hadi will continue to combat AQAP should these conditions change. Saleh, when he was in power, vacillated on the issue of counter-terrorism cooperation based on what would serve him best. As Yemen’s disparate opposition groups coalesced around the call for Saleh to step down, Saleh became more cooperative on counter-terrorism issues in an effort to retain slipping international support. Furthermore, the Yemeni government remains challenged by limited resources and military capabilities. A more exigent security threat to the Yemeni state would prompt Hadi to divert resources to addressing the new threat. It is too early to determine whether Hadi will be a steadfast counter-terrorism partner, though recent cooperation has helped to limit AQAP’s growth in Yemen. American strategy in Yemen today leaves determinants for its success primarily outside of U.S. control. Success in Yemen requires an effective partner. America’s partner there, the Yemeni government, could still collapse or once again be paralyzed by resumed internal political, or even armed, conflict. Key government and military personnel also play a pivotal role in carrying out the fight against AQAP and a successful assassination campaign will affect the pursuit of this fight. When AQAP assassinated the commander leading the offensive against Ansar al Sharia in Abyan and Shabwah in June 2012, the military operation effectively ceased. AQAP also appears to be resorting to direct intimidation of the population to affect the fight. Three tribesmen and three soldiers were found decapitated near Ma’rib, the capital of the governorate east of Sana’a, on October 9 and October 11, 2012, respectively. A warning to others cooperating with the government against AQAP was found with the tribesmen’s bodies. Hadi’s government will need public support to be able to continue its counter-terrorism cooperation, but is unlikely to retain that support if it cannot protect its people against such intimidation. Yemen also appears to have announced the defeat of Ansar al Sharia too soon. The apparently spectacular routing of Ansar al Sharia from its strongholds in south Yemen is not the end of the insurgency, nor is it the end of the threat from AQAP. The offensive, though a positive step forward, appears to have culminated prematurely: the territory captured in late spring 2012 has not been fully cleared of insurgents; Ansar al Sharia continues to conduct attacks in south Yemen; and Yemeni security forces may not hold against an insurgent counter-offensive. Moreover, the Yemeni state has not re-established itself in Abyan or Shabwah. Basic requirements of governance have not been met: a police force, instead of soldiers, to provide local security; repairing infrastructure to provide basic goods and transportation; and the development of, or official recognition of, local administrations. Yemen’s security forces have only achieved partial and reversible success against Ansar al Sharia so far. Herein lies the challenge to the United States: AQAP cannot be defeated without the end of its insurgency and a growing body of evidence indicates that Yemen will not be able to counter the insurgency on its current trajectory. The U.S., therefore, needs to re-orient its strategy to include realistic approaches that will lead to the defeat of Ansar al Sharia as well as AQAP. The current environment in Yemen is not ideal, but must serve as the basis for developing these approaches. The U.S. will need to address squarely the probability that the capabilities of the Yemeni security forces to counter the insurgency will remain limited and the probability that the current conditions may change before the defeat of the insurgency. This may require a recalibration of the level of American assistance dedicated to Yemen’s counter-insurgency efforts or the level of involvement of American military advisers in those efforts. If not, there needs to be a contingency plan should the counter-insurgency efforts fail that will continue to secure American interests in Yemen. There is a chance that Yemen will succeed on its own in countering the insurgency, but America cannot afford to rest its strategy on hope alone. The first mention of Waqar was in a news report dated December 2011 and produced by Ansar al Sharia’s Madad News Agency. “Madad News Agency Releases Seventh Report on AQAP’s Activities,” SITE Intelligence Group, January 26, 2012. Available at SITE [subscription]. Major General Salem Ali Qatan was killed by a suicide bomber on June 18, 2012 in Aden. He was appointed to his position on March 1, 2012 and was the overall commander of the 2012 military operation against Ansar al Sharia. “Yemeni Jihadist Reports AQAP Leader Mourning Death of Fellow Official,” SITE Intelligence Group, February 3, 2012. Available at SITE [subscription]. “AQAP Confirms Death of Commander Muhammad Saeed al-‘Umdah,” SITE Intelligence Group, April 29, 2012. Available at SITE [subscription]. “AQAP Gives Eulogy for Fahd al-Quso,” SITE Intelligence Group, May 9, 2012. Available at SITE [subscription]. Ali Mohsen al Ahmar is the only commander of a Yemeni military district to remain in his position since Hadi took office. Hamid al Ahmar is the brother of the leader of the Hashid tribal confederation, which fielded militia forces in 2011. Over the past 18 months, multiple new political parties have been established in Yemen. The Justice and Building party, for example, was founded by Bakil tribal confederation leader Mohammed Abu Lahoum. Abu Lahoum has participated in the elite politics in Sana’a. The leaders of other parties are less well-known, such Mohammed Miftah who founded the al Ummah party. Saleh’s nephew, Yahya Saleh, is the Chief of Staff. Hadi appointed Major General Fadhl Yahya bin Naji al Qawsi as commander of the Central Security Forces on May 21, 2012. Saleh had diverted military aid from counter-terrorism operations. The al Houthis in Yemen’s north have periodically engaged in armed conflict for control of territory. The most recent conflict occurred in late 2009 and early 2010. Three tribesmen were found decapitated on October 9, 2012 outside of Ma’rib city. Three Yemeni soldiers were found decapitated on October 11, 2012 at a checkpoint near Ma’rib city. Residents reported they had been kidnapped from the checkpoint the day before.